1. 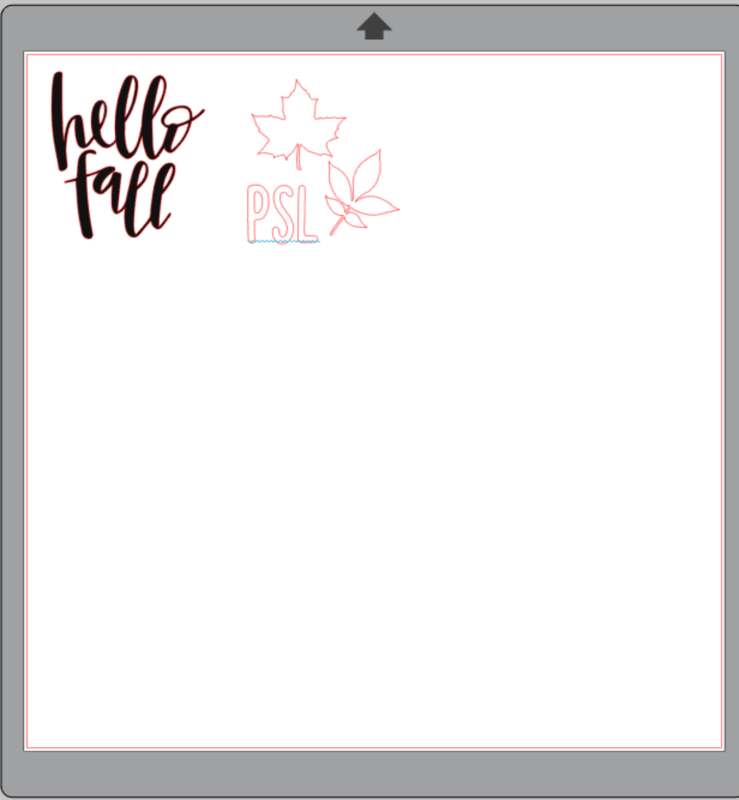 After purchasing the Hello Fall (Design ID #150293) and Leaves (Design ID #66065) designs in the Design Store, open Silhouette Studio®. Locate the designs in your library and place them on your page. Size the designs to your preference. 2. Add some text if you want (I wanted give a shout-out to my pumpkin spice latte!) by using the Text tool located on the left-hand or right-hand side of the screen and selecting a font of your choice. 3. Size the designs to your preference. I sized my pieces to about 3 inches wide to accommodate the shoes. 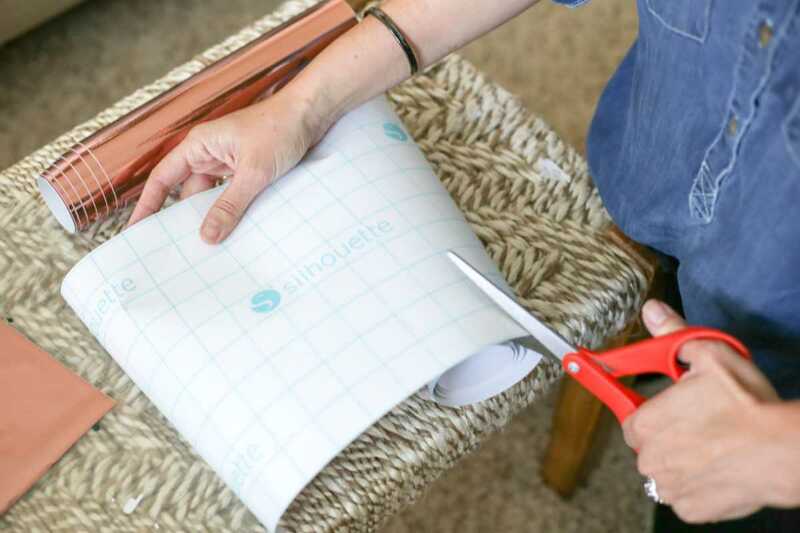 Make sure to measure your project surface first to see what size your designs need to be! 1. When you open the Send panel, everything the CAMEO will cut will be highlighted in red. Make sure your CAMEO will cut out the entire design and not just the edges. 1. 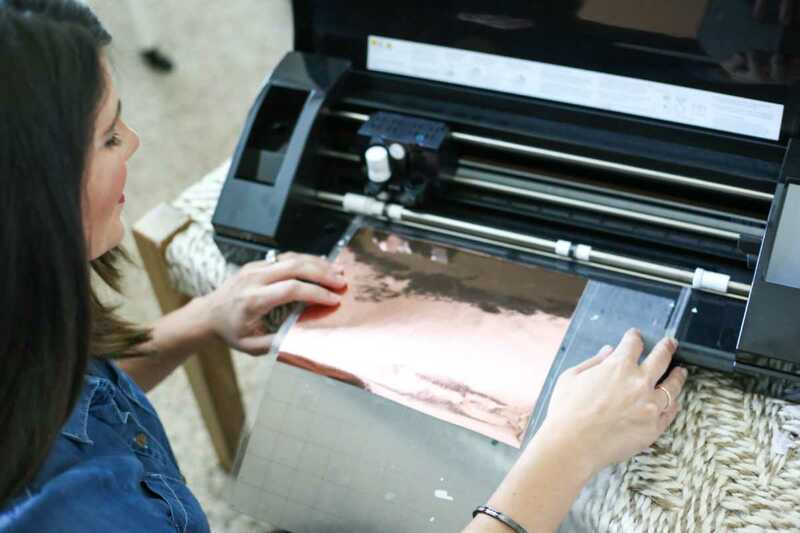 When the CAMEO is finished cutting, weed away (or remove) the excess vinyl so that just the designs remain. 2. With the help of transfer tape (I live for this stuff), carefully transfer the vinyl from the vinyl backing to the shoes. 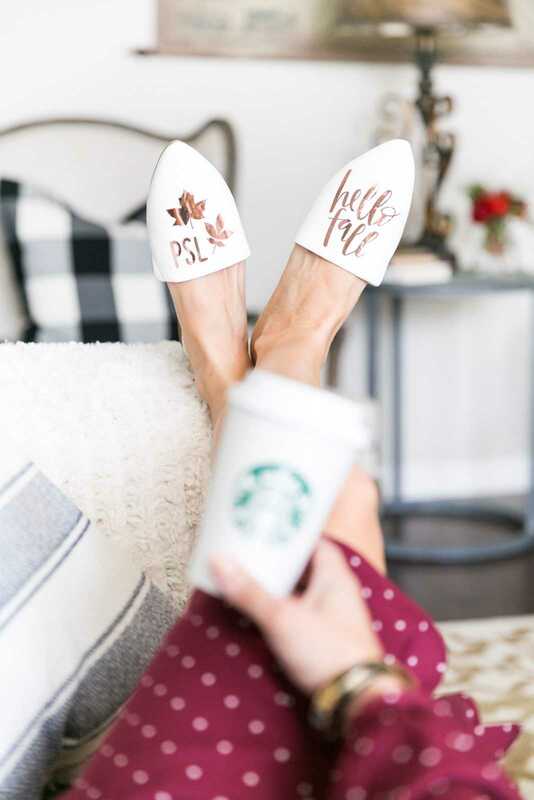 Apply the Hello Fall design to one shoe and the Leaves design and text to the other shoe. I hope you enjoyed this fall-inspired fashion crafty DIY project! I have gotten SO many comments on them, and I’m sure you will too! What designs will you add to your shoes? I would put Hello on one foot and Y’all on the other. I also think? although I am not sure, but when they make these in stores do the words face the other way? It’s cute as all get out regardless. Thank you for your comment! I wanted to be able to look at them all day long 😉 So I intentionally had them facing me! The possibilities are endless! Did the vinyl hold up and stay on? Also would you use the same type of vinyl on a purse? I guess it would depend on the material of the purse. Something like a faux leather or a smooth texture would work best. Also I would think a more structured bag might be easier to work with. I have been wearing them pretty frequently and they are holding up REALLY well. I was actually surprised. The shoes were more of a smooth texture so it seemed to work really well with the adhesive.